Rupelmonde: 51° 07' N & 4° 17' E.
Discover this historical Flemish village and its more than 20 recent sundials. Genk: 50° 58' N & 5° 30' E.
Unique in Europe: 12 sundials, of which 2 of a new concept, in a public urban park. Province of Limburg: the eastern part of Flanders. Over 130 sundials: undoubtedly the leading sundial province of our country. Flanders: the northern part of Belgium (Dutch speaking). Know more about an inventory including over 700 sundials ? Belgium: in the hart of Europe. 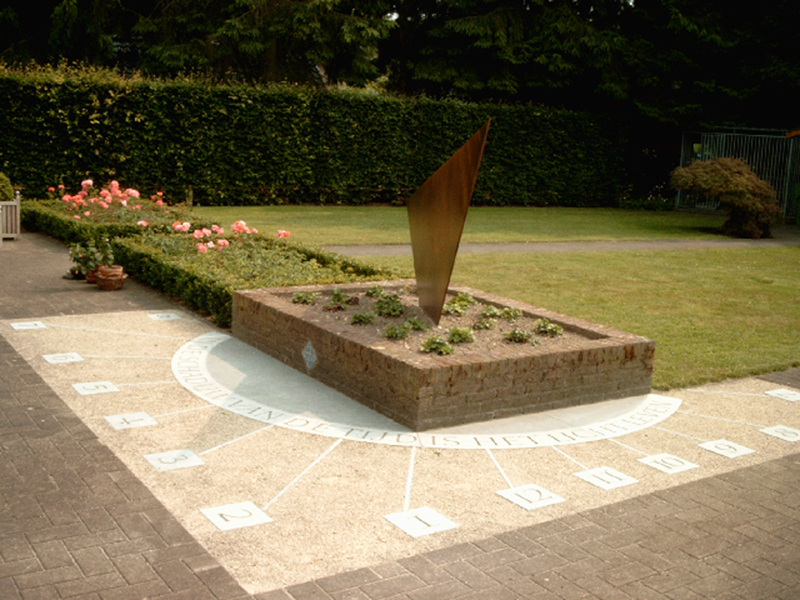 A selection of nearly 450 pictures of sundials in our country (Brussels, Flanders & Wallonia).